The Validyne DP45 Very Low Differential Pressure Transducer is designed for extremely low pressure measurement in the order of ±1 inch water column. This instrument is used extensively in connection with flow measurements where dynamic response at low flow rates is required. Dynamic line pressure effects are minimized due to the combination of low internal volume, symmetrical construction, and small volumetric displacement inherent in the DP45 design. 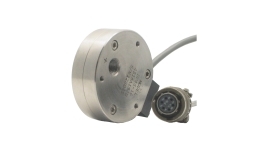 The P17 OEM Low Range Low Cost pressure transducer features high sensitivity to very low pressures with full scales available down to 0.1 In H2O. Output signal is ±5 Vdc and power can be +5 to +28 Vdc. Zero and Span adjustments are included. The P17 has a robust steel sensor construction. 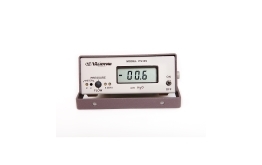 The PS309 is a portable, completely self-contained digital pressure manometer, available in absolute, gauge and differential ranges. In addition to the front panel liquid crystal digital display, the unit also provides a 2 Vdc analog output suitable or recording, remote display or control purposes. Validyne pressure sensors and pressure transmitters have been used in the medical research industry for over 45 years. 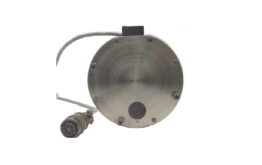 The small displacement and travel of the sensing diaphragm, plus the ability to close-couple the sensor to rapidly changing pressure sources, give Validyne transducers a very fast response time. Validyne pressure sensors can measure full scale pressures as low as 2inH2O making them ideal for use in medical research labs. 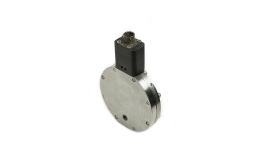 The Validyne DP103 differential pressure transducer is available in full scale pressure ranges as low as 3.5 mm H2O. This pressure transducer was recently used to measure the pressure drop through prototype face masks that were on the order of 5 to 10 mm H2O. The Validyne transducer measures differential pressure so the conversion of the pressure signal to flow is a matter of some simple algebra. For example, the pneumotach chart above states that the pressure drop across the pneumotach will be 17 mm H2O at a flow rate of 800 L/Min. The Validyne DP45 in its most sensitive range, is calibrated such that 20 mm H2O = 10 Vdc signal output. and medical grade oxygen piped to the vaporizer as well. A heater turns the liquid anesthesia to a vapor so that it can be integrated into the patient’s breathing mixture. My first experience with Validyne pressure transducers was at the mechanical ventilator laboratory in medical school at Sao Paulo University-Brazil. The DP45 and CD280 were the choice of the researchers to evaluate analog data from measured pressure and flow waveforms because of their durability and reliability. Eight years later, I started working in the medical device industry in California and decided to bring the same setup to my workplace with addition of the DP15 transducer. Validyne pressure transducers have become my preferred tool for use in the clinical lab compared to all other medical devices I have worked with. NEED A CUSTOM RESEARCH LAB SOLUTION OR HAVE A QUESTION?